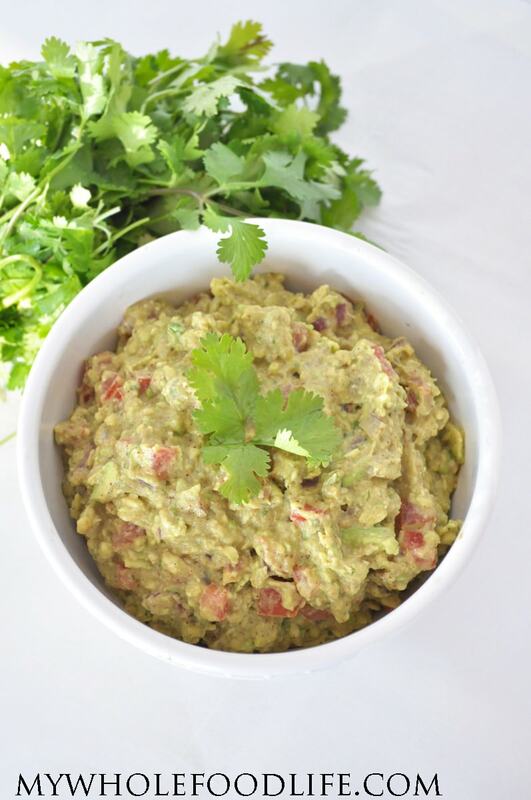 This Easy Homemade Guacamole Recipe is super easy to make! Homemade guacamole is kind of like homemade hummus. It’s so easy to make, but it’s often bought because many people don’t realize how easy it is to make! 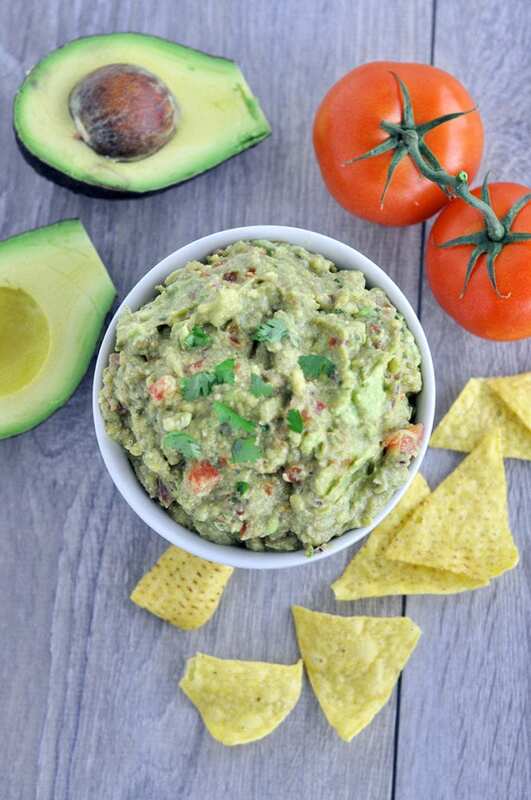 Once you try this easy guacamole recipe, you will never buy it at the store again. It literally takes only a few minutes! Plus you can control the ingredients. We have chips and guacamole at just about every family gathering we go to, so it would be perfect for your holiday parties too. I don’t know of a single person that doesn’t care for guacamole or avocados in general. This recipe is so simple. All you need is one bowl. No food processor or anything else. Unless you prefer to make it that way. We love to eat this with fresh veggies or Beanitos. Yum! This guacamole should last about 3 days in the fridge. Ours is usually gone the first day though! This guacamole would go perfect with my homemade Mary’s Gone Crackers. A delicious dip perfect for parties. Make it in minutes! Put all the ingredients in a bowl and mix together. I used a fork to mash the avocado up. You could also use a food processor or small blender if you prefer. This should last in the fridge about 3 days. Enjoy! You put in everything I like in your guacamole. I will have to try this recipe soon. wow, sounds good! I especially like it very much when you have the ingredients in the picture like that! Thanks for the recipe! Looks yummy! Another recipe of yours that I must make. I see a clove of garlic in your ingredient pic. Do you add that too? Quacamole is a really easy thing for kids to help out with. My daughter loves mashing up the avacados. There is no way for her to get it wrong. Thanks for all the wonderful recipes. I completely agree! I try to get my kids to help with any job they are able to do. 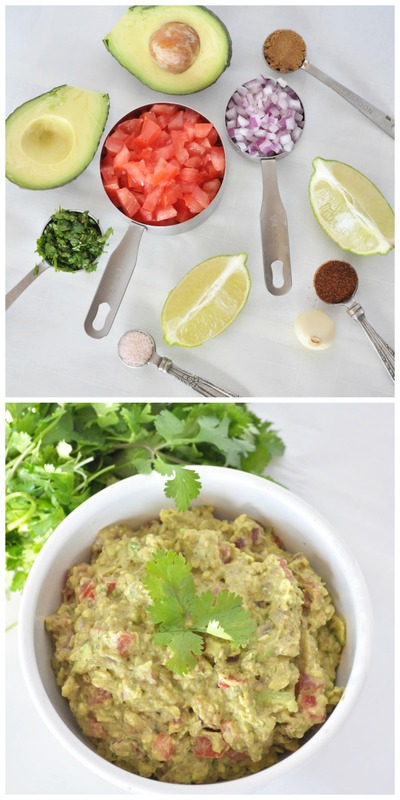 I LOVE Guacamole and this recipe is especially amazing. Thanks Melissa!